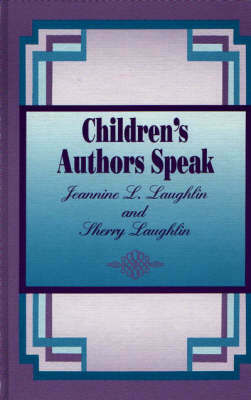 Lois Lenski, Charlotte Zolotow, Jean Fritz, Jean Craighead George, Ezra Jack Keats, Tomie dePaola, Taro Yashima, and Molly Bang are just a few of the outstanding children's authors and illustrators featured in this book. The setting is the University of Southern Mississippi Children's Book Festival, where authors are awarded the USM Medallion for their outstanding contributions to children's literature. In this collection authors and illustrators discuss a variety of topics that pertain to children's literature, including research, inspiration, characters, the process of writing, social issues, and personal concerns. All Levels.